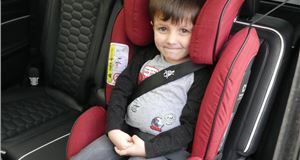 The Solution Z-Fix sits at the top end of the very extensive Cybex range of Group 2/3 car seats. Designed for children from 15kg to 36kg (so around 3 to 12 years old), it's one of the Cybex Platinum range of seats - these tend to be a bit posher with nicer fabrics and more features. They are also more expensive, with the Z-Fix starting at £190 with the Plus version costing another £25. 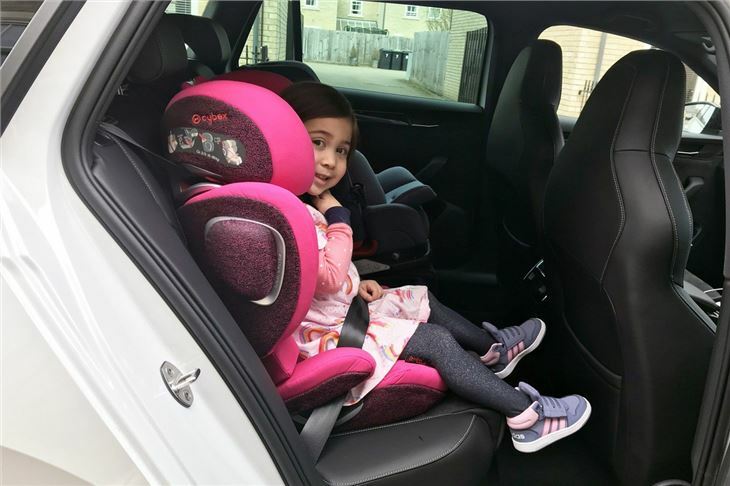 It uses an Isofix mounting system to keep the seat secure and is full of features such as a reclining headrest, 12 point height adjustment, air ventilation and what Cybex calls its Linear Side-impact Protection (L.S.P. System Plus), which reduces the force of a side-impact (in combination with the energy absorbing shell) by approximately 25 per cent according to Cybex. It's available in a range of colours, including the very vibrant 'Passion Pink' we're testing here along with the trademark Cybex orange fabric. There's even a 'Scuderia Ferrari' edition complete with Ferrari badging. The covers can be removed and washed, although there's no spare cover included. Compared to a seat like the Sirona, the Solution Z-Fix feels a lot less bulky - indeed it weighs half as much, tipping the scales at just over 7kg. This makes it much easier to switch between cars or remove if you need extra space. 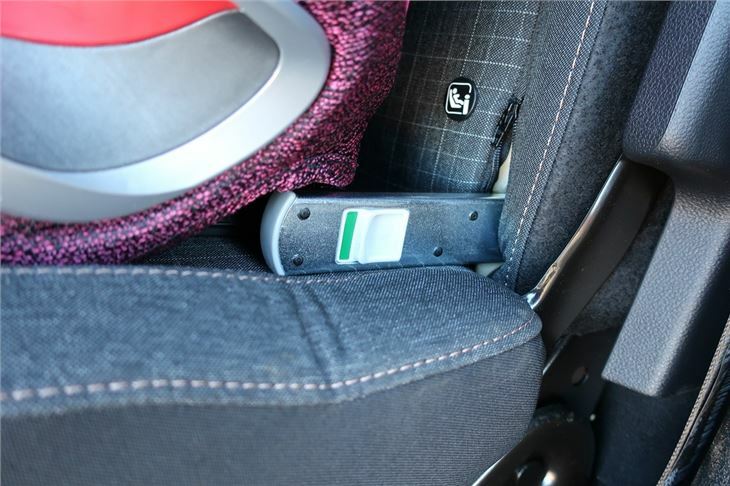 It uses the standard Isofix connectors, which move independently of each other, so it's very easy to slot them in, plus they have the green indicators as a double check. Push the seat back and it locks in place, while you can adjust the angle of the backrest to make sure it's in contact with the seat back behind. 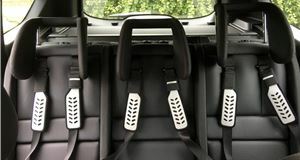 The Isofix brackets fold out the way so you can still use the seat in a car that doesn't have Isofix mounts. Coming out of a Group 0/+1 seat, it can be a little daunting the first time you strap your child in what feels a much less substantial seat. 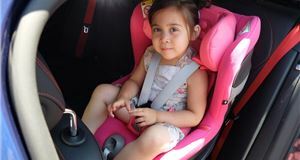 But our tester Eden is now almost four years old and loved the fact she had a 'big girl' seat, plus she was also a fan of the colour. The Solution Z-Fix uses two fabrics. 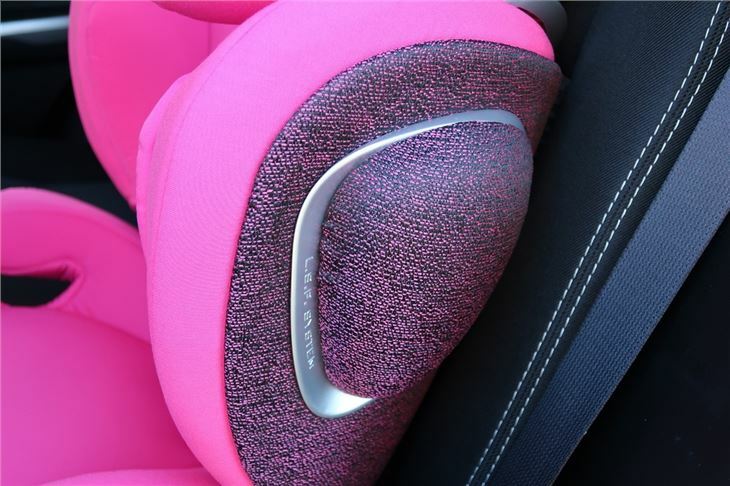 There's a soft and cosy one on the inside of the seat - which admittedly looks a bit shiny but is very comfortable - and a hard-wearing two-tone Twill-effect material around the shell. Go for a Plus and you get a slightly less garish look with a more textured finish. There are plenty of features on the Solution Z-Fix including that Cybex calls 'Optimised Linear Side-Impact Protection' - the extra pads on the side you see above. The idea of these is to absorb energy from a collision at an early stage. Fortunately, we didn't have call to test these, but Cybex says they will help reduce the force of a side impact by 25 per cent. What you may find more useful day to day is the reclining headrest. Trying to prevent your child's head flopping forward when they fall asleep in their car seat is a constant battle for most parents. The Solution Z-Fix counters this with a clever headrest which you can recline between three positions. For Eden, this is proving excellent and means she sleeps with her head back. Not only is it more comfortable for her, but it also means her head is in the seat safety zone created by the head and side protectors. In fact, the whole seat is proving a comfortable and a popular choice with Eden. 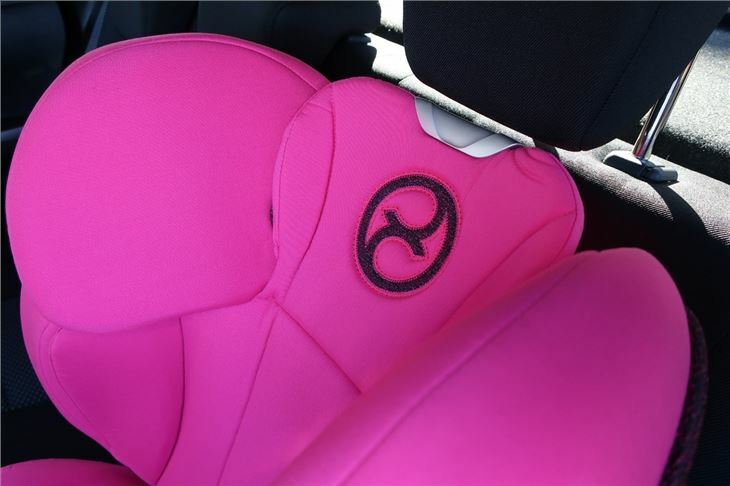 She loves how soft the fabric is and how easy it is to climb in and out of the seat. 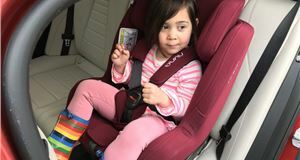 Putting the seatbelt on requires a bit of leaning over - like any car seat of this type - but the seatbelt threads through the plastic guide on the side of the chair smoothly and means it doesn't sit against her neck. A neat hook system means the belt can't accidentally come out either. As your child grows taller, the Solution Z-Fix adjusts as well. The picture below shows it at its maximum height, although we did have a few problems getting the handle to release in order to get the seat to slide up and down, although considering how often you'd be doing this, it's hardly an issue. From the age of 3 to 12 years old, children grow on average 60cm in height. 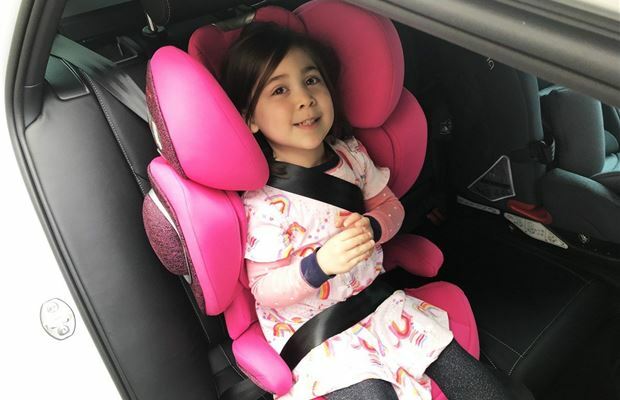 The Solution Z-Fix has 12 different height positions and cleverly, as the head and shoulder protectors move up, the side sections also move out, giving extra width as your child grows. We had it fairly low down as Eden is only around a metre tall. The side bolsters do mean she struggles to see out of the side of the car at times - cue some complaining when she was trying to see a hot air balloon out of the window - but the plus side is it feels very safe and Eden will rest her head on them when she's tired. 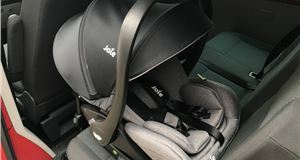 The seat itself also has integrated air ventilation system, designed to stop your little one getting too hot in the summer, which includes a mesh of ventilation channels that run through the backrest, allowing hot air to escape. 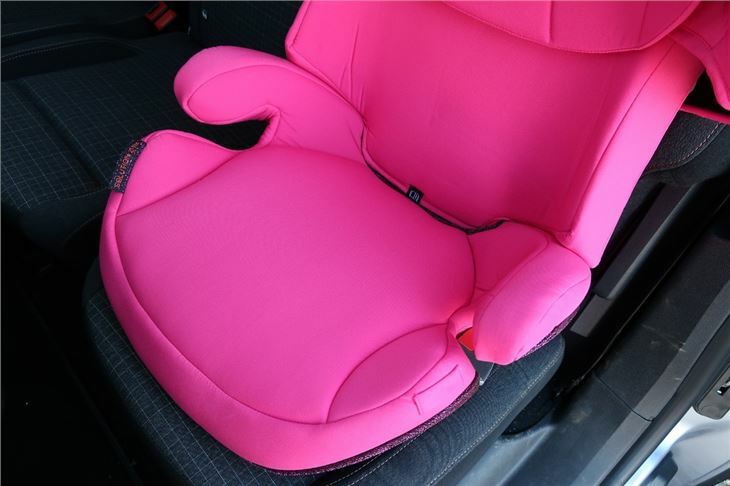 The Solution Z-Fix is one of the most expensive Group 2/3 car seats around. 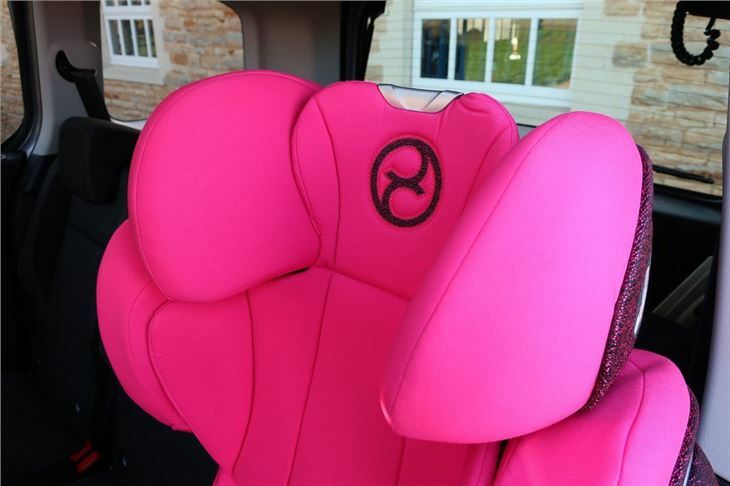 However, that quality does shine through, not just in the seat itself and the quality of the fabrics, but in the features. 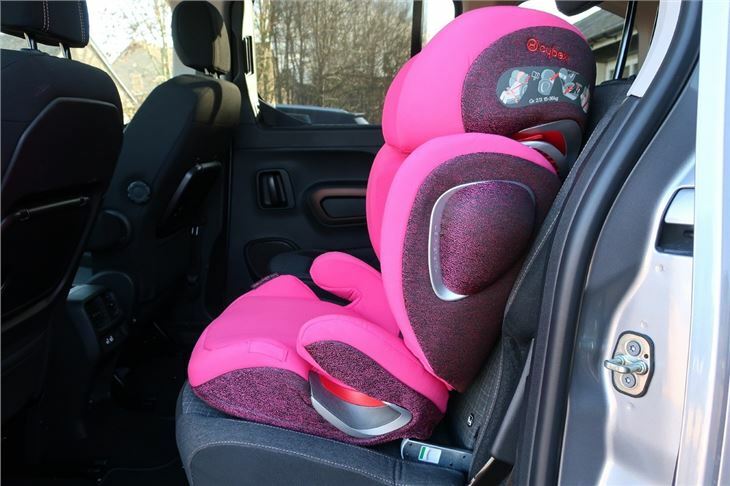 The reclining headrest is a simple but brilliant idea which makes this stand out from other car seats. That in itself would be enough to recommend the Solution Z-Fix highly, but there's also the clever height adjustment, the comfortable fabric and the side impact system. 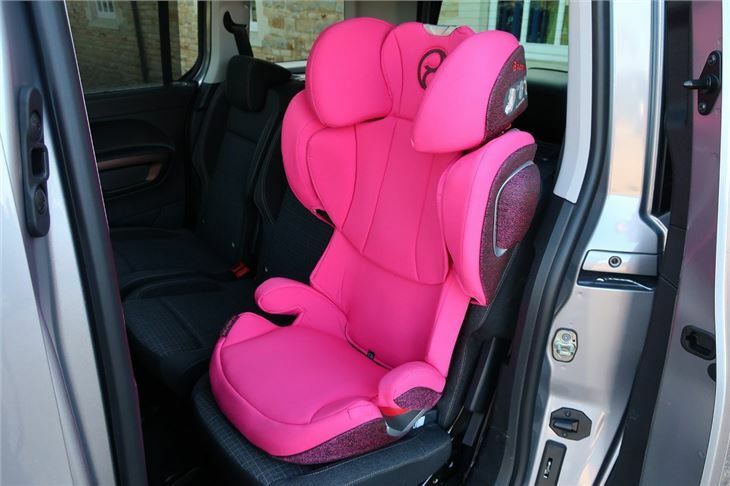 Considering this seat will last your child nine years, it seems a worthwhile investment, especially as it feels built to last. There's no shortage of Group 2/3 car seats in the Cybex range - in fact, it's quite confusing with no fewer than nine at the last count. But essentially, if you want the best Group 2/3 car seat Cybex offers, this is it. 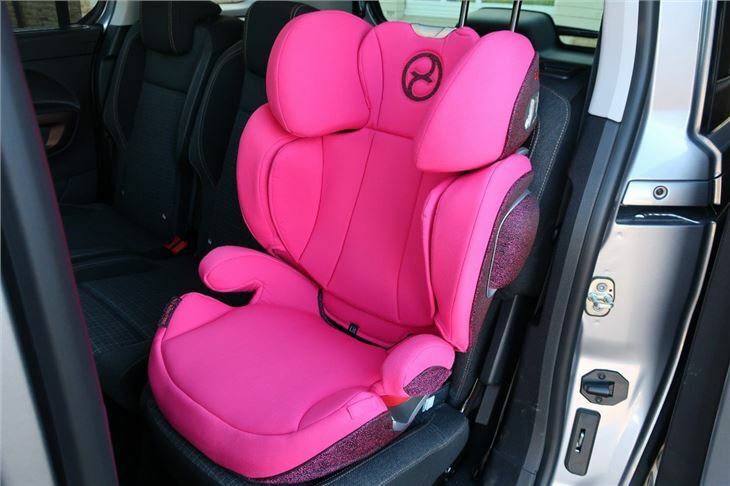 And it's one that should last until your not so little one has grown up and no longer needs a car seat.